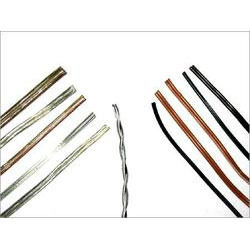 We manufacture and export a wide assortment of music cables that are used in various music instruments. Premium grades of raw material are used to make these cables and hence makes them durable, sturdy and efficient to meet the requirements in the best way. Audio Cables: these cables are developed for audio applications from 6.3mm jack cables to wiring looms. Data Cables: these cables are specifically designed to transfer data from an electronic device to another from USB to MIDI. Power Cables: widely used in enhancing a good power in specific uses. Accessories: used to meet certain needs in the related music sector. Looking for Music Cables ?